Google put together a video snapshot of 2011. It’s embedded below. First, I would like to thank all of my readers. I appreciate your taking the time to see what I am thinking or working on, and I am also grateful for the comments that I have received from my readers. I enjoy writing on dynamicsubspace.net, and I am thankful that my friends, colleagues, and others find my writing worth spending a little of their time reading. WordPress.com logs the visits of readers to my blog. I like to reflect on my writing and how it corresponds to these statistics. Below, I present a summary of the site’s statistics with some thoughts about the increase in visits that I received in 2011. I was particularly interested in seeing how this year’s numbers compared to previous years, because I endeavoured to post more content this year than in any previous year as part of WordPress.com’s postaday2011 project. My attempt at posting one new item each day has been a phenomenal success. I successfully posted one item each day save once. However, there were many days when I posted two or more items. By month in 2011, I posted 56 times in January, 42 times in February, 55 times in March, 47 times in April, 53 times in May, 42 times in June, 36 times in July, 42 times in August, 35 times in September, 43 times in October, 42 times in November, and finally, 39 times in December 2011. 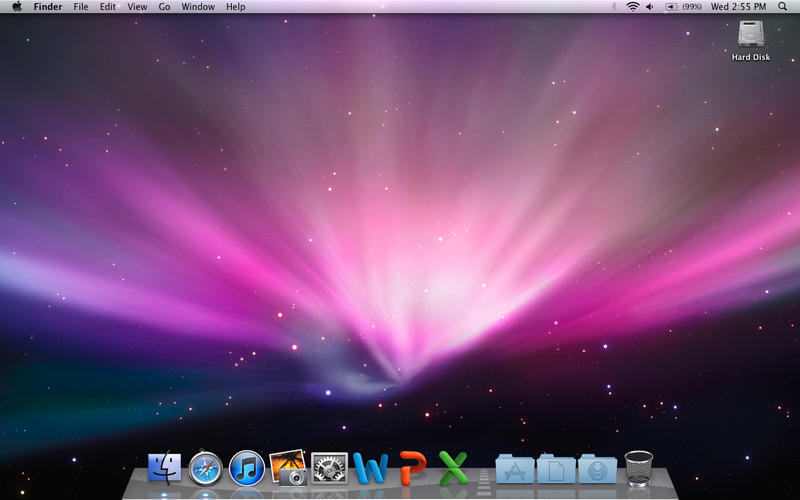 Each month, I consistently exceeded the number of days by the number of posts for a total of 532 posts in 2011. Since I began dynamicsubspace.net in 2007, I have written 1,239 posts. In the chart above, you can see the number of unique page visits by month and year since I moved the blog from Apple’s mac.com to WordPress.com in March 2007. During the very first month of being hosted on wordpress.com in March 2007, I received 29 visits. So far, I have received 8,191 visits during December 2011. This is a tremendous increase in page views! Considering the number of visits that I have received from year to year: dynamicsubspace.net received 3,772 visits in 2007, 27,882 in 2008, 32,458 in 2009, 48,245 in 2010, and approximately 76,121 in 2011. This translate to a 639% increase from 2007 to 2008, 16% increase from 2008 to 2009, 48% increase from 2009 to 2010, and 58% increase from 2010 to 2011. I believe that the increased content generation that I have done during 2011 has made the site more interesting to regular readers, and it has also created more content that non-regular readers find via search engines, social networks, and link sharing sites. Further breaking down the visits to dynamicsubspace.net, the site has consistently increased its average visits per day. On average, the site received 14 daily visits in 2007, 76 visits in 2008, 89 visits in 2009, 132 visits in 2010, and 209 visits in 2011. This translates to a 443% increase in daily visits from 2007 to 2008, 17% from 2008 to 2009, 48% from 2009 to 2010, and finally, 58% from 2010 to 2011. These daily visit increases also, I believe, correspond with the increased content output that I have accomplished this past year. One thing that I wonder though is how spammers influence these numbers. 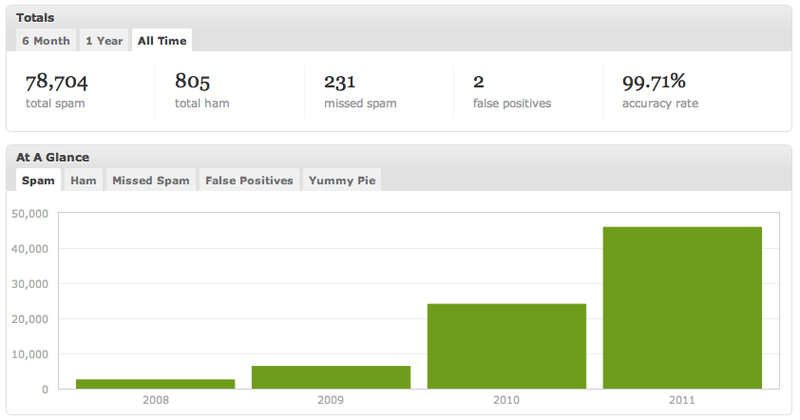 As you can see in the graph above, my spam filter has caught a substantial rise in attempted spam comments during 2011. It is because of this increased spam over the past two years that I began moderating all comments to dynamicsubspace.net. I would prefer to not moderate on the site, but I don’t want my noncommercial site to become a huge billboard that generates money for others (copiers of my content on other sites present a whole other problem). Also, Symantec reports here that email spam is the lowest in years, but I wonder if spammers are shifting their tactics to plaster the web instead of inboxes. Here is to another successful year of dynamicsubspace.net. I have hinted at some lose ends that I will write more about in the near future. These will appear as I have the time to think about and write more about them. Here at Tom’s Hardware, you know we don’t typically get political because with the heated debates between AMD vs. Intel who needs Donkeys vs. Elephants? We’ve got no agenda beyond providing the best hardware news and reviews we can dig up. But here at Year’s end, there’s a subject we want to share with you that may come to affect how you experience us and the rest of the internet. It’s called SOPA, or the “Stop Online Piracy Act”, and it is headed through U.S. Congress with its sister bill PROTECT-IP in the Senate. SOPA threatens to fundamentally change the way information is presented online by placing massive restrictions on user-generated content like posts to forums, video uploads, podcasts or images. via Save Tom’s, Stop SOPA. We have to work together to stop this terrible legislation. Go here to find out how you can help by alerting your elected representatives to the problems that this kind of over broad and misguided legislation. The Internet’s most popular destinations, including eBay, Google, Facebook, and Twitter seem to view Hollywood-backed copyright legislation as an existential threat. When the home pages of Google.com, Amazon.com, Facebook.com, and their Internet allies simultaneously turn black with anti-censorship warnings that ask users to contact politicians about a vote in the U.S. Congress the next day on SOPA, you’ll know they’re finally serious. via SOPA opponents may go nuclear and other 2012 predictions | Privacy Inc. – CNET News. The authors of the bill say their goal is to crack down on websites that traffic in stolen movies, music, software, and other intellectual property. That’s a goal that we at Rackspace share. But we’ve studied the SOPA bill closely and conferred with experts in our company and elsewhere in the technology industry, and we believe that it would not achieve its stated purpose. Foreign IP thieves, in particular, could find ways to evade the law. Meanwhile, SOPA would require that Rackspace and other Internet service providers censor their customers with little in the way of due process, trumping the protections present in the current Digital Millennium Copyright Act. What’s more, the SOPA bill would seriously disrupt the Domain Name Service that is crucial to the smooth operation of the web. via Rackspace Cloud Computing & Hosting. Make your voice heard by contacting your elected representatives in Congress. The Stop American Censorship website can help you. via A Literary History of Word Processing – NYTimes.com. It is good to see this kind of coverage of the profession in the Times. James Tiptree, Jr.'s "The Last Flight of Doctor Ain"